Here’s an update on recent news items and other public policy developments relating to the U.S. Renewable Fuel Standard (RFS), and the efforts to produce commercial quantities of cellulosic biofuels which qualify to generate Renewable Identification Numbers (RINs) under the RFS. The week of March 18 saw an unusual amount of activity on the policy front in Washington, DC, as the petroleum industry and renewable fuels interests continue to trade accusations of blame over the rising RIN prices for cornstarch ethanol. This update will highlight those recent developments, as well as others not so recent. Corn ethanol RIN prices apparently stabilize but are still at historic highs. The price for Renewable Identification Numbers (RINs) for cornstarch ethanol have reached record levels, sharply escalating in a matter of weeks. The price reportedly closed above $1.00 per gallon on March 8, up from of $0.53 per gallon on February 26 and $0.79 per gallon on March 5. There were even reports that the price exceeded $1.10 per gallon in early March (see links below), but the price appears to have stabilized at around $0.70 per gallon as of the week of March 18, according to fuelsnews.com and other reports. Nevertheless, the psychological impact of a dollar-a-gallon RIN was, in no small measure, responsible for much of last week’s flurry of activity. There is general consensus that the sharp rise in RIN prices is due to factors like the anticipation of lower than usual ethanol production in 2013 due to last year’s drought, and the impending ethanol blend wall, which together may cause an increased need for obligated parties to use RINs, rather than actual gallons of ethanol, to satisfy their volume obligations. Even before last week, this price escalation triggered a “blame game” between the oil industry and the ethanol industry, with each blaming the other. For example, a recent online editorial from the head of the Renewable Fuels Association blames the oil industry for this price run-up and for creating the circumstances leading to the blend wall, as “little more than a convenient excuse for their refusal to move to higher-level ethanol blends.” An academic assessment from the University of Illinois of this price escalation can be found here. New API attack on RFS draws swift industry response. On March 20, the American Petroleum Institute issued the results of a study conducted by NERA Economic Consulting, which asserts that the RFS will have significant economic consequences by 2015 due to its conflict with the ethanol “blend wall”. Among its dire predictions were decreased U.S. GDP, decreased worker take-home pay, and increased gasoline costs. Trade associations representing the renewable fuels and ethanol industries swiftly countered the report by conducting a “prebuttal” phone call with reporters refuting the study’s conclusions. Congressional interest in rising ethanol RIN prices. U.S. Senators David Ritter (R-La.) and Lisa Murkowski (R-Alaska) have written to EPA Administrator-designate Gina Murphy to ask that EPA “utilize any and all existing regulatory authority and flexibility to address the issue of rising RIN costs and alleviate the threat of increased consumer fuel costs”. The letter also called for a detailed plan for addressing these issues within 14 days. The letter refers to reports that ethanol RIN prices had exceeded $1.10/gallon in March, but the linked article above from Reuters refers to prices of “more than a dollar” during the month. House committee issues first of three white papers on the RFS. On March 20, the House Energy and Commerce Committee released a white paper discussing the ethanol blend wall. This is reported to be the first of a series of papers to be published at the initiative of Committee Chairman Fred Upton (R-Mich.) and ranking minority member Henry Waxman (D-Calif.). After setting forth the issues relating to the RFS mandates, the alleged problems with E15 fuel and other matters, the document posed a series of questions for stakeholder comment, with responses requested by April 5. EPA vacates 2012 cellulosic mandate. On February 27, EPA announced that it was vacating the 2012 RFS cellulosic standard, following the decision of the District of Columbia Circuit Court of Appeals earlier this year. Obligated parties will therefore not need to address the 2012 cellulosic biofuel standard in their compliance demonstrations that were due on February 28, and for any parties who filed early and had already submitted payment for 2012 cellulosic biofuel waiver credits, EPA will issue a refund. Governors voice support for RFS, oppose legislative modifications. The Governors’ Biofuels Coalition has sent a letter to Congress supporting the RFS and urging legislators to “reject any modifications to the RFS”. The Coalition is a group of 30 governors, led by Iowa Gov. Terry Brandstad, and the letter arose from a March 13 meeting at the headquarters of POET. The letter stressed the benefits that the RFS has brought to their states since its enactment in 2005, and rebutted some of the recent arguments against the law, which the letter called “unrelenting and false”. New CRS reports issued on RFS. The Congressional Research Service has issued two new reports on the RFS: “Renewable Fuel Standard – Overview and Issues”, which updates previous CRS reports on the RFS, and “Meeting the Renewable Fuel Standard Mandate for Cellulosic Biofuel”. (Please contact David Glass if you have trouble obtaining these reports from the CRS website). New report on cellulosic biofuel commercialization. At the request of Biofuels Digest, Tristan R. Brown and Robert C. Brown at the Bioeconomy Institute at Iowa State University have written a 5-page summary of commercial-scale cellulosic biofuels projects expected in the U.S. by 2014. This report covers some of the same ground as my February 21, 2013 post on the Advanced Biotechnology for Biofuels blog, in which I summarized cellulosic ethanol plants in operation, nearing operation, and under construction in the U.S. and Canada. Bloomberg report on ethanol blend wall. Bloomberg New Energy Finance has issued a report analyzing the ethanol blend wall. The report notes that in 2013, the minimum amount of ethanol required under the RFS is essentially equal to the maximum amount of ethanol allowed in U.S. gasoline supplies under E10 policies. The report analyzes different scenarios in which the RFS mandate may be met. EIA reports on cellulosic biofuel capacity. On February 26, the Energy Information Administration posted a report on its website estimating U.S. capacity for producing cellulosic fuels this year. The report notes that several companies combined to produce about 20,000 gallons of cellulosic fuels in late 2012, and that output could grow to more than 5 million gallons this year. EIA further estimated that aggregate nameplate capacity in the U.S. could reach 250 million gallons by 2015, although the report noted that its past projections of cellulosic output have proven to be overly optimistic. Here’s an update on recent news items and other public policy developments during the last few weeks relating to the use and market acceptance of 15% blends of ethanol into gasoline (“E15”) and other higher blends of ethanol such as E85. House subcommittee holds one-sided hearing on E15. On February 26, the House Committee on Science, Space and Technology Subcommittee on Environment held a hearing on “Mid-Level Ethanol Blends: Consumer and Technical Research Needs”. The only witnesses were representatives from the Automobile Association of America, the American Motorcyclist Association, and the Coordinating Research Council; the former two of whom are opposed to the sale of E15 ethanol blends, in large part based on the negative findings of the study conducted by the third witness’s organization; a study that has been criticized as flawed by DOE, EPA and the ethanol industry. These witnesses and the four Republican subcommittee members were all critical of E15 and said that more research is needed before it should have been approved. Among the documents introduced by subcommittee Republicans was the proposed anti-E15 legislation that Rep. Sensenbrenner (R-Wisc.) recently drafted. The only voice speaking out in favor of E15 was newly-elected Rep. Suzanne Bonamici (D-Ore.), the sole Democrat who attended the hearing. Ethanol industry groups have criticized the hearing for not inviting E15 proponents, and have submitted written comments to the subcommittee in support of E15. Sensenbrenner bill calls for further study of E15. Rep. Jim Sensenbrenner (R-Wisc.) has now introduced a bill relating to E15 ethanol that was originally discussed at the February 26 subcommittee hearing. The bill, H.R. 875, would not only repeal EPA’s granted waivers for E15, but would also require EPA to contract with the National Academy of Sciences to conduct a comprehensive assessment of available research on E15 and all “mid-level” ethanol blends. The bill would also prohibit EPA from granting additional E15 waivers until the results of the NAS study were submitted to Congress. The ethanol industry has criticized the bill as being unnecessary in view of the extensive testing E15 has already undergone. Updates on proposed state legislation affecting fuel ethanol. In New Hampshire, House Bill 362, which would ban the use of “corn-based” ethanol in the state, was passed by the state House of Representatives on March 13. Its prospects in the Senate are not known. There are now four bills pending in Maine relating to ethanol: LD115, which would ban the sale of corn-based ethanol if at least two other New England states adopted a similar ban, LD453, which would ban the sale of gasoline with greater than 10% ethanol, also subject to similar action by two other New England states, LD105, which would allow blenders or retail dealers to sell gasoline with 5% ethanol, and LD261, which would specify that distributors, benders or dealers would not be required to sell gasoline containing 10% or more ethanol. All these bills have been referred to the Environment and Natural Resources Committees in both houses, and hearings are reportedly to be held the week of March 18. In Florida, House Bill 4001 that would repeal that state’s Renewable Fuel Standard Act and remove the requirement that ethanol be blended into all gasoline sold in Florida, received a favorable vote on February 19 from the House Energy & Utilities Subcommittee and is now before the full Regulatory Affairs Committee. An identical bill, SB 320, was filed in the Senate and has been referred to committee. In Illinois, as previously reported, there is a bill pending in the legislature that would transfer a sales tax incentive now available for E10 fuel to E15. A hearing was held on the bill, Senate Bill 52, on March 12. Representatives of the state’s corn growers and ethanol industry supported the bill, while the oil industry, gas station owners and others opposed the bill. The bill has been sponsored by Senator John Sullivan, who is in favor of establishing incentives for adoption of E15. Minnesota biofuels bill being considered. A state legislature committee in Minnesota was scheduled to hold a hearing on February 27 to consider a bill that would set a targeted goal for 30% of the state’s gasoline supply to consist of biofuels by 2025, which would be achieved in incremental stages. The bill would also amend currently laws relating to the use of ethanol as a fuel additive so that they would instead apply to “biofuels” and would thus cover butanol and other biofuels in addition to ethanol. The bill was written by Rep. Jeanne Poppe and is supported by the Minnesota Bio-Fuels Association. According to a later report, the bill, pending as Senate Bill 448 and House Bill 462, has progressed through several hearings. Iowa E15 retail locations. Service stations in Baxter, Iowa and Cresco, Iowa have begun offering E15, bringing the state’s total of E15 retail locations to four. The Cresco location is a new station reportedly constructed explicitly to offer mid-level ethanol blends such as E15. E85 vehicle available on auction. The Advanced Vehicle Research Center is auctioning a 2007 Pontiac G-6 that was part of a large E85 ethanol research project. The highly modified engine in this vehicle was designed and developed to be able to take advantage of the higher octane property of E85 fuel to increase thermal efficiency. Through the use of supercharging, optimized geometric compression ratio of 14.1 to 1 and other base engine changes, vehicle performance is comparable to that of a production V6 vehicle with four cylinders, while exhibiting only a negligible fuel economy penalty. Non-E85 gasoline operation is also possible with appropriate modifications. The auction site can be accessed here, or questions can be addressed by e-mail to Mr. Glenn Edmonds at glennedmonds@gmail.com. The Advanced Vehicle Research Center is a private for-profit company located in Raleigh North Carolina, that focuses on research and commercialization of alternative fuel vehicles and energy transportation technologies. In previous posts on my Advanced Biotechnology for Biofuels blog, I described the programs enacted by California and Oregon and adopted or under consideration in other states, Canadian provinces and regions, to promote the increased use of low-carbon transportation fuels (i.e., fuels with more favorable greenhouse gas emissions than traditional gasoline or diesel). In this post, I’ll report on news items and other developments during the last few months of 2012 and early 2013 that are relevant to these “Low Carbon Fuel Standard” (LCFS) programs. Look for subsequent updates on other developments in the weeks to come. Amendments to be proposed to California LCFS. At a workshop held on March 5, 2013, staff from the California Air Resources Board (ARB) presented its plans to present regulatory amendments for consideration by the ARB Board at its October 2013 meeting. Among these proposed amendments will be 36 new applications covering 118 new fuel pathways for the Board’s consideration. Most of these have arisen from applicant petitions, while 15 pathways were developed internally by ARB staff. The pathways include new methods for producing biodiesel, biomethane, ethanol, renewable diesel, and liquefied natural gas. Also discussed at this workshop were issues relating to calculation of indirect land use change, enforcement provisions, and the reporting tool used for banking and trading of credits under the LCFS. California LCFS quarterly data summary issued. On December 31, 2012, CARB staff released the LCFS status report for the 3rd quarter of 2012. The report showed that about 390,000 metric tons (MT) of credits were generated in Q3 2012 against approximately 250,000 MT of deficits. CARB had previously reported Q2 2012 figures of 310,000 MT of credits and 240,000 MT of deficits. Cumulatively through the end of Q3 2012, there have been a total of about 2.376 million MT credits and 1.271 million MT deficits, for a net total of about 1.105 million MT credits. Ethanol continues to make up about 80% of the credits. The report also disclosed that there were 17 documented trades of credits under the LCFS, which were in the range of $10-30 per MT, the same range as reported in the Q2 report. Pro-biofuel campaign launched by environmental organization targets California LCFS. A new campaign has been announced to support the development of next-generation biofuels. The group, FuelingGrowth.org, was formed by Environmental Entrepreneurs, an affiliate of the Natural Resources Defense Council, and it includes a social media effort and a website that highlights 80 biofuel firms across 27 states. According to the group’s spokesman, the effort will largely focus on California due to the threats to that state’s Low Carbon Fuel Standard. California LCFS Indirect Land Use Change policies. The Renewable Fuels Association has written to the Chair of the California Air Resources Board, encouraging the Board to revise its policies towards indirect land use change, which RFA maintains results in unfairly assigning less-favorable carbon intensities for certain fuels under the LCFS regulations. Economic impacts of LCFS. In October 2012, the California Business Alliance for a Green Economy disputed a June 2012 report that alleged that the LCFS regulations would hurt California’s economy. The Business Alliance found that the study, issued by the Western States Petroleum Association (WSPA) and conducted by the Boston Consulting Group, was based on “several significant inaccuracies and faulty assumptions.” WSPA defended the study in its own statement. Oregon LCFS public meeting. As I reported in my Advanced Biotechnology for Biofuels blog, Oregon’s draft LCFS rules were presented in a public meeting on December 6-7, 2012. At this meeting, the Environmental Quality Commission voted to move forward with the first phase of the program, and require gasoline and diesel suppliers to begin reporting the carbon intensity of their fuels beginning in 2013. The state legislature would then have to decide whether to move to the second phase, which would be to require fuel producers and importers to achieve a 10% reduction in carbon intensity by 2025. However, the legislation as adopted in 2009 included a sunset date of 2015 for the program, and Governor Kitzhaber has reportedly decided that the state won’t implement these reductions unless the Legislature lifts the sunset date in its 2013 session. It has been reported that proponents of the legislation will make a lobbying effort in 2013 in favor of extending the program past this sunset date. Opposition to Oregon LCFS program. A group known as Oregonians for Sound Fuel Policy, a group of associations, businesses and organizations that represent heavy fuel-users, was formed shortly before the December 2012 EQB meeting, with the goal of opposing the LCFS policy. The members of this group are concerned that the policy will cause volatile fuel prices and create unnecessary government regulation, especially burdening small businesses. Other industry groups have been reported in the press to oppose the legislation as well. EU energy ministers begin debating proposed RED revisions. At a meeting of the energy ministers of EU member states held on February 22, discussions began about the proposed revisions to the Renewable Energy Directive (RED) that were announced in October 2012 (see this previous Biofuel Policy Watch post for more detail on these proposed revisions). Most of the discussion focused on the European Commission (EC) proposal to impose a 5% cap on the contribution of food-derived biofuels to the renewable fuel targets under the RED. EU Energy Commissioner Guenther Oettinger told the meeting that there may be flexibility on the proposed cap, and that a level of 6 or 7 percent , “might be more in line with the market,” and that it might make sense to consider separate caps for biodiesel and bioethanol. From published reports, there seemed to be a diversity of views among the member states, but most of the comments favored limits on food-based crops, and also favored assessment of indirect land use change in determining whether fuels should qualify as renewable under the RED. Further discussions are expected at future meetings of the energy ministers in the coming months, culminating in the delivery of a progress report by the current EU president in June 2013. European Union anti-dumping duty takes effect. On February 22, the EU Council published its final regulation imposing a duty on imports of U.S. ethanol into all European Union nations. This duty of 62.9 euros (approx. $83) per metric ton arises from the EU’s anti-dumping inquiry, and will be in force for five years beginning February 23. The duty was welcomed by ePURE, the European ethanol trade group that instigated the EU inquiry, and sharply criticized by U.S. ethanol trade groups, who have promised to challenge this policy. (see this previous Biofuel Policy Watch post for more detail on the EU anti-dumping and anti-subsidy investigations against U.S. ethanol). EU “Clean Power for Transport” Proposal. On January 24, the European Commission announced an ambitious clean fuels strategy that includes recommendations for improvements to the infrastructure for delivering alternative fuels in the market. The most prominent portions of the proposal deal with the need for recharging stations for electric or hydrogen vehicles. Although the proposal identifies biofuels as “the most important type of alternative fuels,” it includes no specific recommendations to improve the infrastructure for biofuels, although there are general requirements for improved consumer information for all alternative fuels and vehicles. The proposal also appears to call for standardized labeling of ethanol/gasoline blends, in accordance with the gasoline standard EN 228. The European ethanol trade group ePURE, which apparently participated in some discussions leading to this proposal, has praised its proposed harmonization of fuel pump labeling for E10, but criticized its omission of E85, and its misguided belief that E85-utilizing vehicles would be limited to captive government fleets. New pro-biofuels industry group formed. The CEOs of seven European biofuel producers and airlines have launched a new industry-led initiative to promote and expedite the deployment of advanced sustainable biofuels in Europe. The initiative, called Leaders of Sustainable Biofuels, is made up of Chemtex, British Airways, BTG, Chemrec, Clariant, Dong Energy and UPM, and has the goal of promoting market acceptance of advanced sustainable biofuels by all transport sectors. The group has adopted a strategy encompassing promotion of research initiatives, market-based actions, and public communications. Interest groups urge EU to phase out reliance on land-based biofuels. In a letter released on February 20, a coalition of eight environmental NGOs called for the EU to amend its currently-pending amendment to the Renewable Energy Directive to impose “an absolute limit on the consumption of land-based biofuels in transport”. The group also called for mandatory accounting of carbon emissions linked to indirect land use changes. The coalition included Greenpeace, Oxfam, Friends of the Earth Europe, and other groups. Environmental group critique of EU biofuel policies. A new report issued in January by CE Delft, an independent research and consultancy organization, assesses ways the EU can meet the stated goals of greenhouse gas emission reductions without relying on what it calls “land-based biofuels”. According to online sources, the report was commissioned and released by four environmental groups including Greenpeace. Among the many assertions in the 127-page report are criticisms of both existing EU policy under the Renewable Energy Directive and also the recently proposed revision. The Delft report proposes that the EU discontinue reliance on all biofuels produced from productive land, and to instead rely on a combination of increased energy efficiency, a shift towards electric transport, and the use of biofuels and biogas produced strictly from wastes or residues “with no other useful applications”. It has once again been reported that Brazil will raise its ethanol blend mandate back to 25%. This has been consistently rumored throughout the last several months, but Energy Minister Edison Lobao has reportedly told the Brazilian press that this move will be made official in May 2013. In fact, the government has now confirmed, in a publication in the Union Diary, that the blend rate will increase to 25% as of May 1, 2013. Brazil’s energy minister Edison Lobao has reportedly said that the government could cut taxes on sugarcane derived ethanol to alleviate pressure from rising costs. Such a move would augment rather than replace the increase of the blend ratio from 20% to 25% planned in May. South Africa’s Department of Energy has announced that the country will miss its 2% biofuels target for 2013. A new FAO report on food and agriculture cites increased use of food crops for biofuel production as one of several factors in worldwide volatility of food prices. The Global Renewable Fuels Alliance has recommended to an international gathering of agriculture ministers that they should include biofuels in their plans to attract agricultural investment in the world’s most impoverished areas. The Alliance has also called on attendees at the World Future Energy Summit in Abu Dhabi to commit to increasing biofuels’ share of the future global energy mix. The government of Thailand has raised its ethanol subsidy, to make E20 almost 10 cents cheaper than 91 octane gasoline. 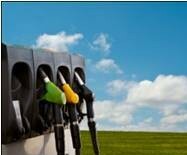 API files lawsuit over 2013 RFS biodiesel mandate. In November 2012, the American Petroleum Institute filed suit against the EPA’s decision to set the 2013 RFS volume mandate for biomass-derived diesel at 1.28 billion gallons. API, which has challenged other aspects of the RFS in similar legal maneuvers, claimed that EPA should not have extended this volume mandate beyond the 1 billion gallons that is the minimum annual volume required under the RFS statute. This lawsuit is presumably still pending. Economic impact of biodiesel tax credit. University of Illinois economists have published an analysis of the impact the recently-reinstated $1 per gallon biodiesel tax credit in the United States will have on meeting the 2013 RFS volume mandates. The authors conclude that the tax credit makes domestic biodiesel somewhat more competitive than Brazilian sugarcane ethanol, but that at this time it looks likely that Brazilian imports would be economically favored to fulfill the portion of the “Advanced Biofuels” volume mandate that is not met by volumes of “Renewable Biodiesel” required under the RFS. First RINs for cellulosic diesel. EPA has reported that the first RINs for cellulosic diesel were generated in November 2012, and that a new record high of advanced biofuel RINs were generated in that month. EPA reports that 1,741 RINs were generated for cellulosic diesel and also that 127 million RINs for biomass-derived diesel were generated in that month. During the first 11 months of 2012, more than 1.49 billion biomass-based diesel RINs were generated for biodiesel production. Economic impact of biodiesel in Iowa. A study released in January 2013 by the Iowa Renewable Fuels Association, the Iowa Soybean Association, the Iowa Corn Growers Association and the Iowa Biodiesel Board concluded that the growing demand for the use of soybean oil to produce biodiesel could lead to increased revenues for farmers in Iowa. The report found that almost 72% of the biodiesel produced in Iowa was derived from soybeans, and that the use of soybeans for biodiesel production benefited both the state’s economy and farmers’ bottom lines. Use of B20 biodiesel blends in 2013 and 2014 car and truck models. General Motors has announced that its new 2014 Chevrolet Cruze light-duty diesel passenger car is approved for use with 20% biodiesel blends (referred to as B20). This article in Biofuels Digest also lists a number of other 2013 model trucks and vans that have been approved for use with B20 blends. International biodiesel mandates. Biofuels Digest recently published its annual summary of biofuel mandates and target volumes in various countries around the world. I have summarized the findings of this report regarding ethanol use in gasoline in a previous post on Biofuel Policy Watch. The following is a brief summary of some of the biodiesel mandates included in that article (in these abbreviations, the number which follows “B” refers to the targeted or mandated blend percentage: for example, B5 is a diesel fuel containing 5% biodiesel and 95% conventional diesel). Canada introduced a B2 mandate in July 2011 as part of its renewable fuel regulations. Agrentina has a B7 mandate, which is an increase from a B5 mandate in place in 2010, but with a planned increase to B10 by October 2013 seeming to be on hold. Brazil has a B5 mandate with a goal of reaching B20 by 2020, and so there is reportedly some effort to raise the rate to 7% for the current year. Chile has a B5 target. Costa Rica maintains a B20 mandate. Paraguay has a B1 mandate. Peru has a B2 mandate in place, with plans to go to B5. Uruguay has a non-binding B2 policy. In Australia, although there is not a national mandate, the state of New South Wales maintains a B2 mandate. The Philippines has a B2 mandate. Taiwan maintains a B1 mandate. Thailand has a B5 mandate. It has separately been reported that Indonesia is prepared to raise its 7.5% blending mandate to B10. Malaysia has a B5 mandate which began in June 2011, and which was being phased in on a state-by-state basis. The Digest later reported that the country is planning to adopt a B10 blending mandate by mid-2014 to boost the country’s palm oil industry. South Korea biodiesel mandate. The government of South Korea is reportedly reexamining that country’s biodiesel blending mandates. The law currently requires diesel products sold in the country to contain at least 2% biodiesel, but this mandate has apparently not been enforced. In addition, the percentage was supposed to be raised to 3% this year and 5% at some future date, but the government is not prepared to implement such increases. There is apparently a great deal of confusion regarding this mandate and its applicability to diesel imports as well as domestically-produced fuel. Spain biodiesel policies. On February 22, the government of Spain announced that it was revising its targets for overall consumption of biodiesel from 7% to 4.1%, with the goals of minimizing fuel prices and stabilizing the markets as the country heads towards compliance with the EU goals of 10% adoption of renewable fuels by 2020. Earlier this year, in January 2013, the Spanish government lifted an embargo that had been preventing the import of Argentinian biodiesel into Spain. This reverses a policy instituted in the spring of 2012 that stated that only EU-produced biofuels could count towards Spain’s national biofuels quotas.